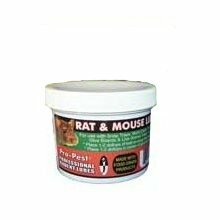 Pro-Pest professional rat and mouse lure is a highly effective bait. Can be used with snap traps, glue boards, live animal traps, and multi- catch traps. This rodent lure works all year round. The scent of essential nuts, nut oils, seeds and other ingredients is long lasting and effective. Pro-Pest lures do not contain peanuts therefore avoiding potential allergic reactions from humans! 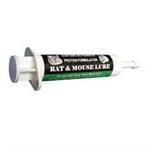 How about the Pro-Pest Rat & Mouse Lure MSDS sheet?